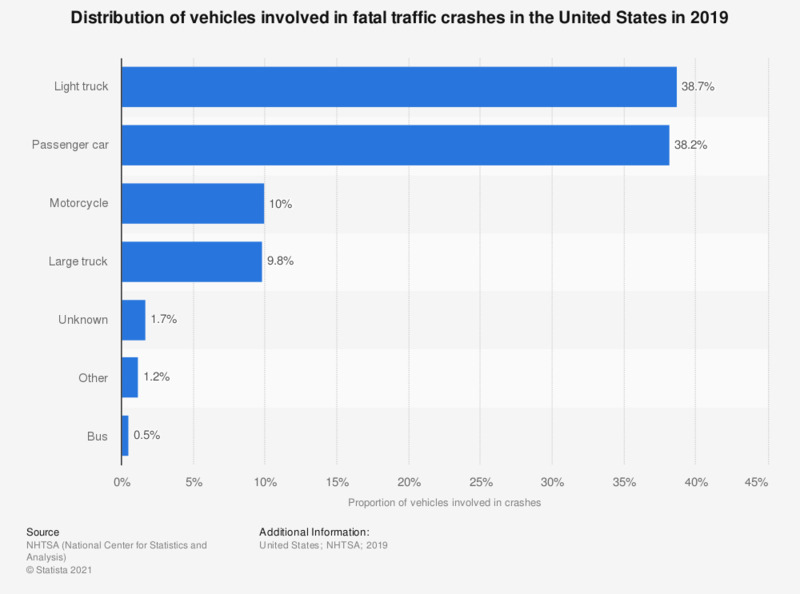 The statistic shows the proportion of vehicles involved in traffic crashes in the United States in 2016. In that year, just under 40 percent of vehicles involved in U.S. traffic crashes were passenger cars. Motor vehicle crashes are the leading cause of death among those under the age of 55 in the United States.